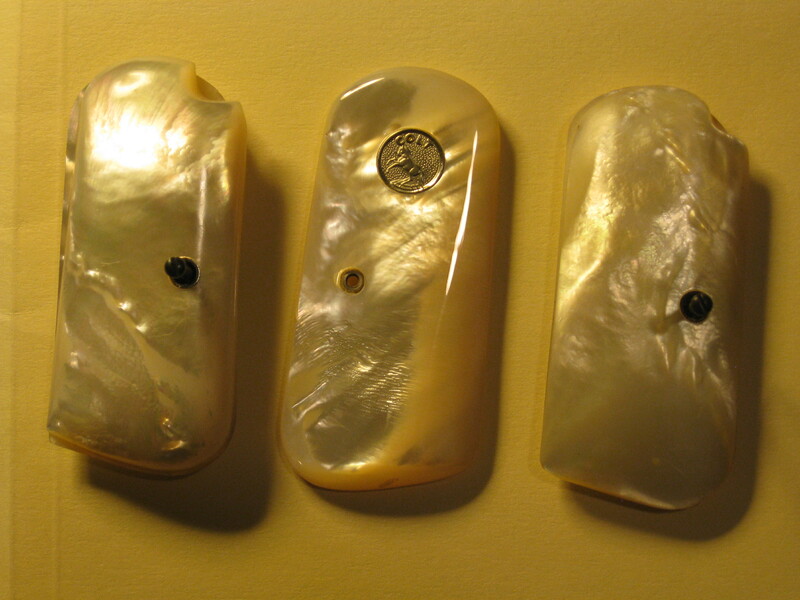 A word of caution,wear an effective nose & mouth cover,if the pearl dust gets in your lungs it can be very dangerous,it;s like ground glass,& set up a fan that will blow the particles away from you while your working on them. Rick Bowles, LeverActionBill and Jackson like this. One grip fitter I spoke to a few years ago, said he did all his pearl (or abalone or similar) work with the grips under water. The dust is very toxic. Yahoody, Rick Bowles and Jackson like this. At $500.00 I think I would keep looking. There is very little flame, no color and appear to have inclusions that may prove problematic when you carve/shape them. During the Tulsa show I inquired about how to best "sand" MOP grips which were a little long. The advice given me was to make sure I did it under water, so as to ensure none of the dust was inhaled. I do have a set of MOP's I just pulled off of an old gun because they were too "white" for the 1889 shipped SAA they were on. I was planning to take them to TGCA and sell. They are legit $500 MOP's. If you are interested PM me with an e-mail and I'll send you picks. How to tell if MOP grips are real?